Disclosure of Material Connection: Some of the links in the post above are "affiliate links." This means if you click on the link and purchase the item, I will receive an affiliate commission, which keeps the lights on and the tax collector paid. Many thanks for your support! I am disclosing this in accordance with the Federal Trade Commission's 16 CFR, Part 255: "Guides Concerning the Use of Endorsements and Testimonials in Advertising." 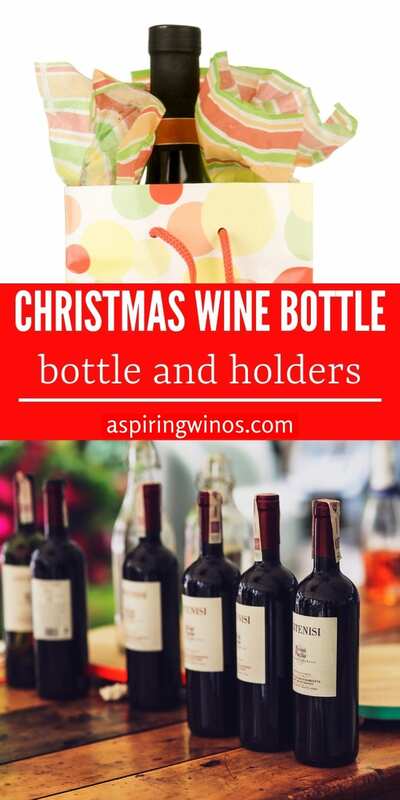 Wine is one of the best gifts you can bring to Christmas celebrations. If they don’t pop it open right away, they will certainly be interested in popping it open after all the festivities are over and the clean up begins. Simply bringing the bottle sans bag or holder wouldn’t be as fun. 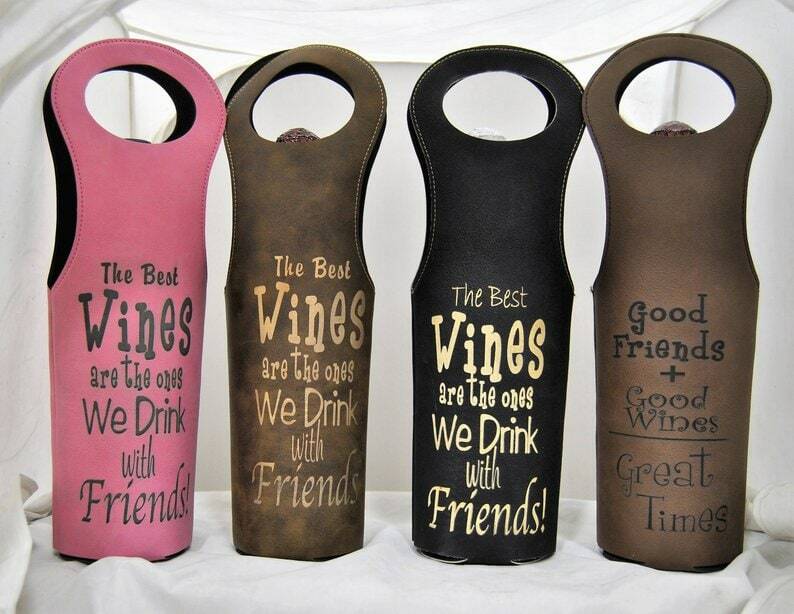 Look at these cute, funny, and creative bags for your wine gifts. 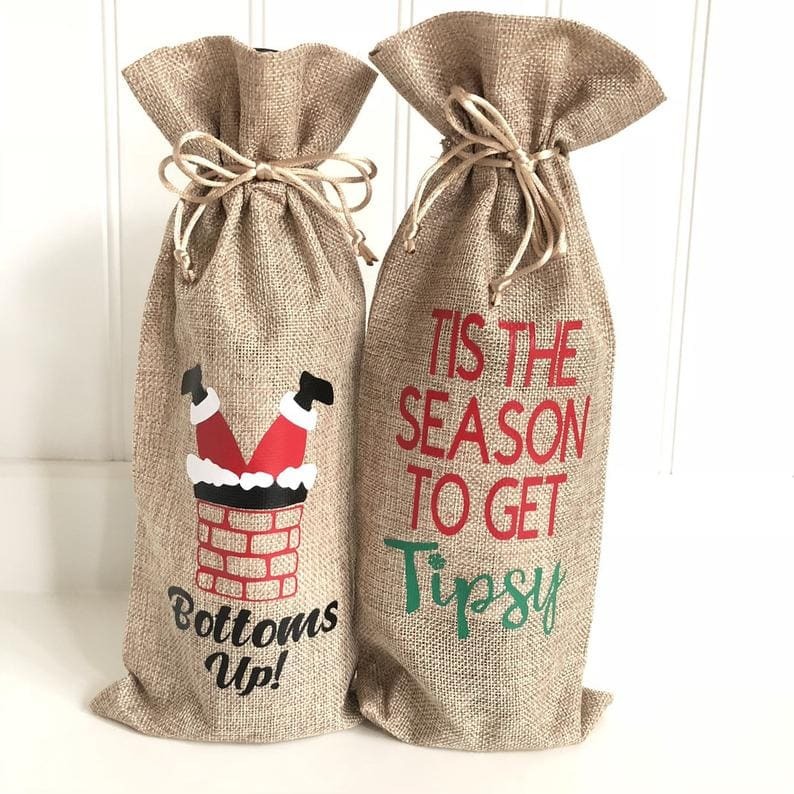 The burlap wine sack with Santa about to go down the chimney is hilarious, but so is the “tis the season to get tipsy” one! 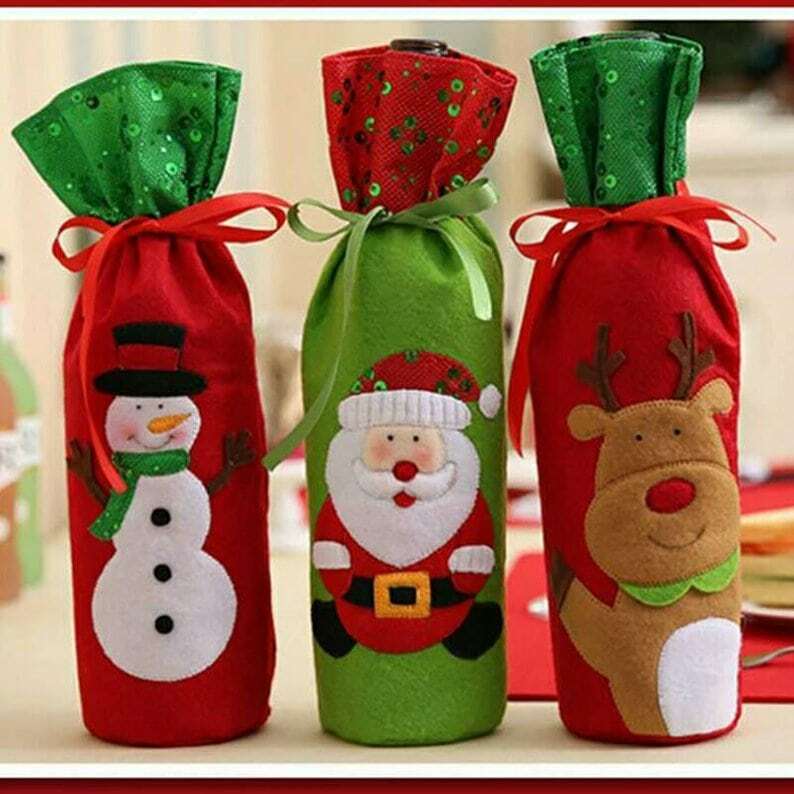 You can never go wrong with a set of 3 wine bottle outfits that include Santa and his crew. 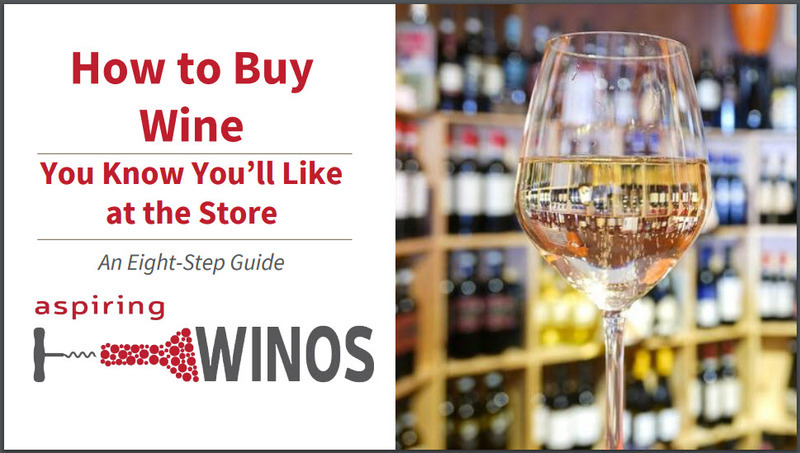 If you have more than one person to give wine to, you definitely need all three. When you bring the wine, you bring the Christmas cheer! 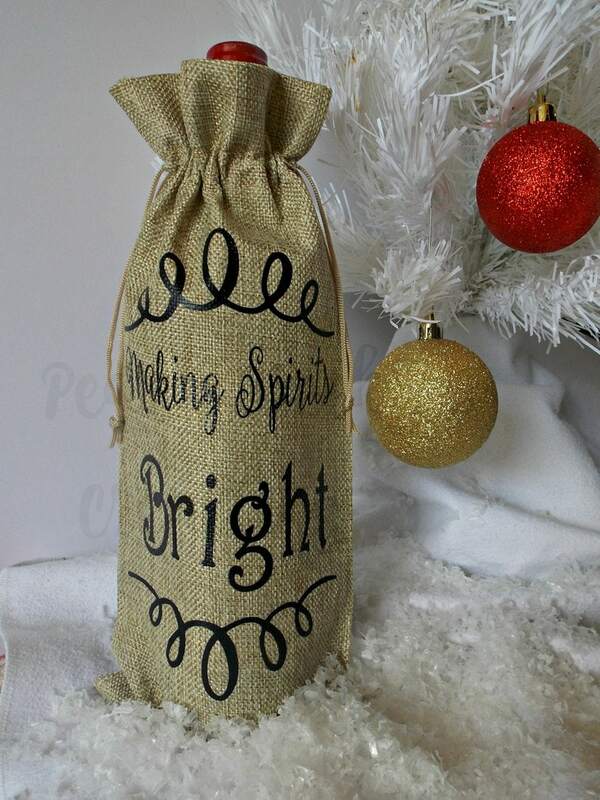 It says so right on this canvas wine bag! 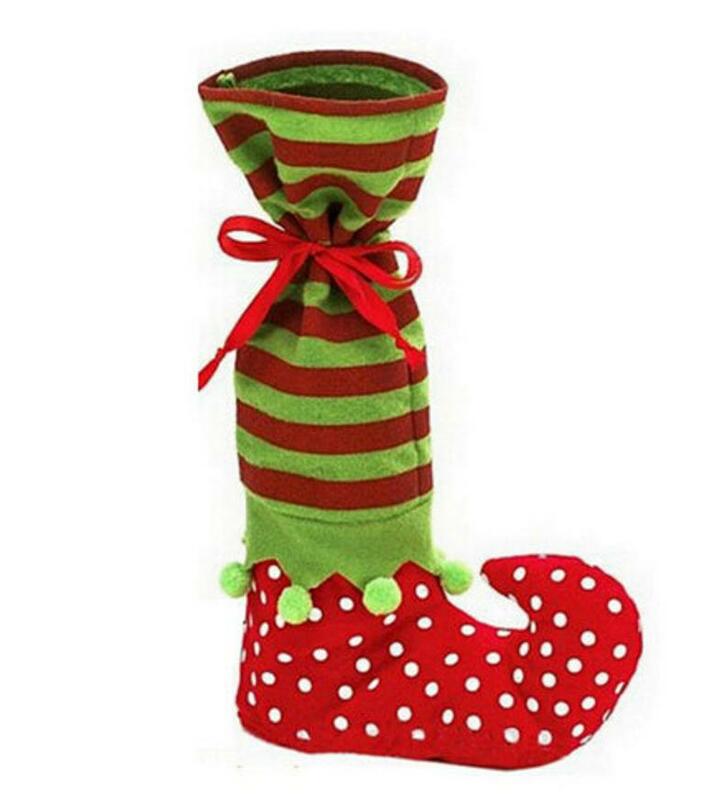 These Santa pants wine cooler bags are pretty funny and they can even keep the wine chilled! I think they will get some giggles at the party. Sometimes the white wine runs out quickly, but there’s always the red! 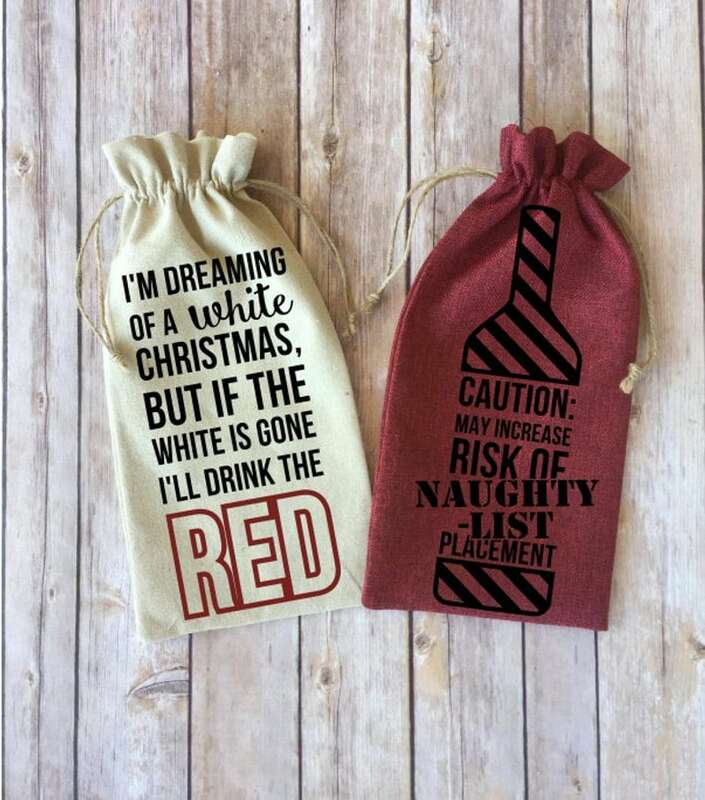 Along with this wine bag, there is also a fun “Caution: may increase risk of naughty list placement” wine bag, which we all know is true. If you don’t want the elf in the one above, or have a friend that celebrates a different holiday, then this set has a snowman instead. 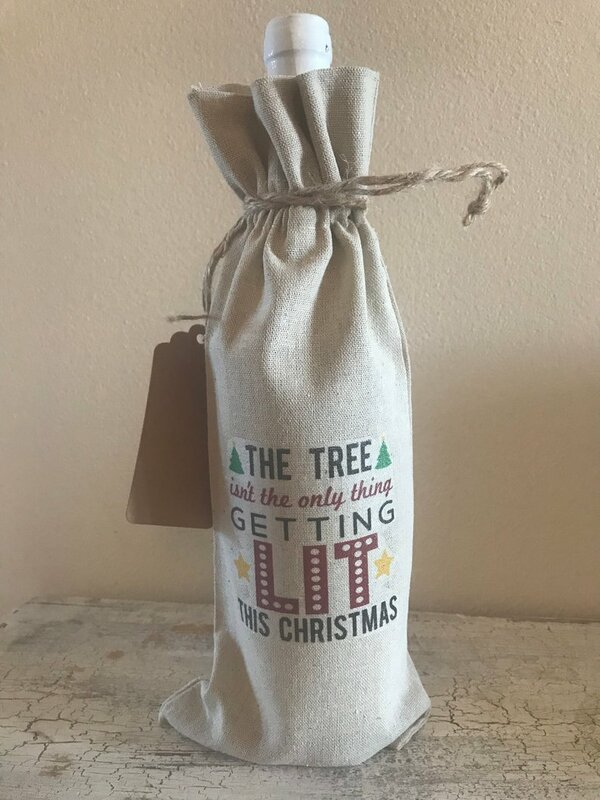 Wherever there is wine, the tree isn’t going to be the only thing that gets lit! 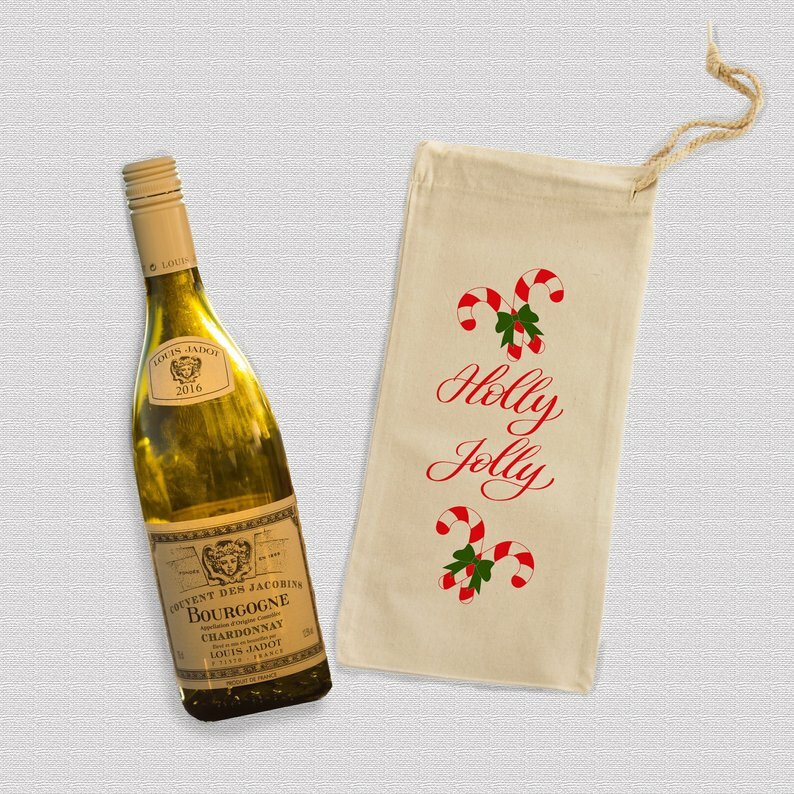 A simple “ho ho ho” red and white bag is a great one to fall back on if nothing else strikes your fancy to carry your wine gift in. Christmas is all about being “merry and bright,” but if it isn’t like that where you’re going, then the wine will certainly help. 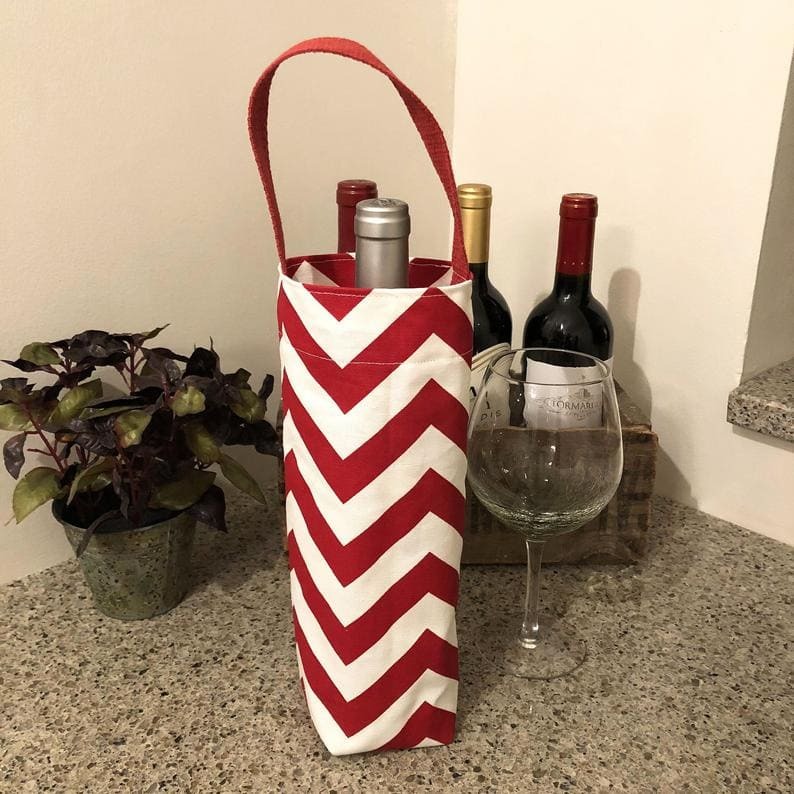 Chevron print can be fun, especially if you don’t want a wine bag that has a quote or saying on it. The red and white are bright too, which should cheer everyone up! 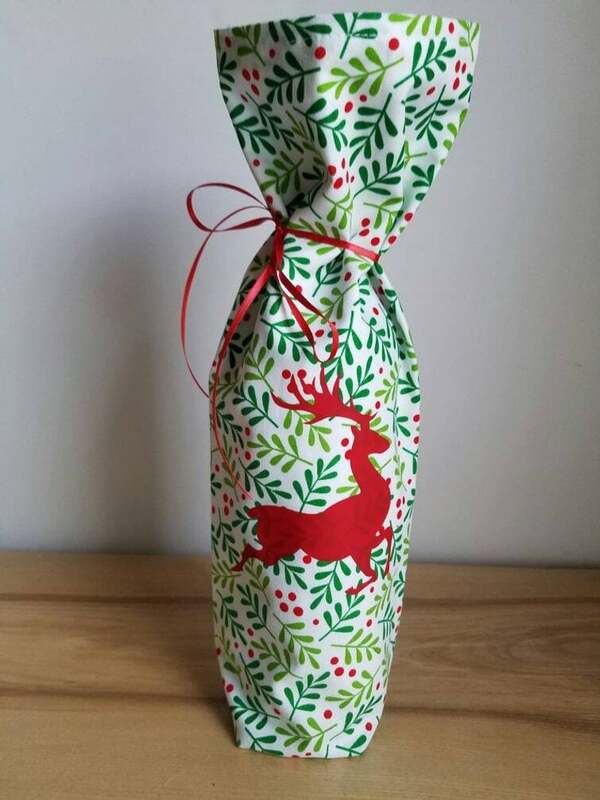 READY TO SHIP Christmas wine gift bag with reindeer. Gift for wine lover. 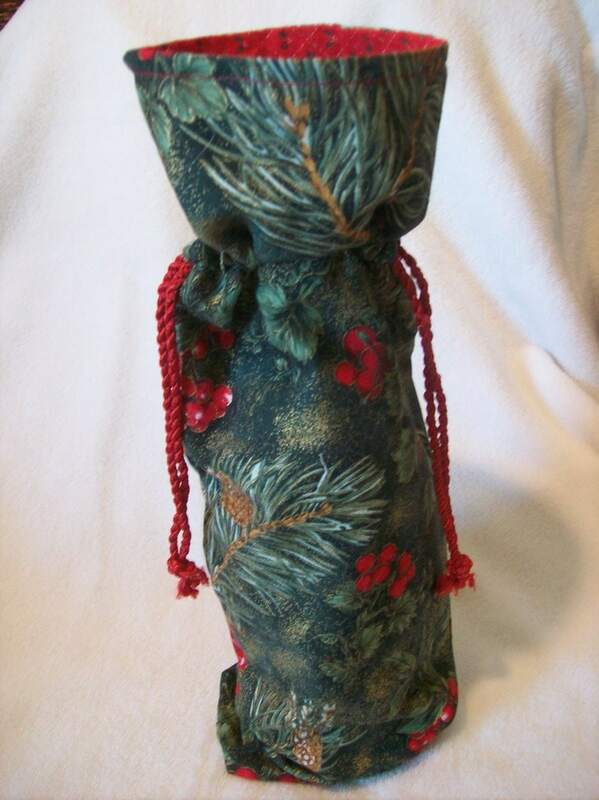 The green metallic fabric on this wine bag is unique, but the adorable snowman and the ornament attached really make it a gift in and of itself. 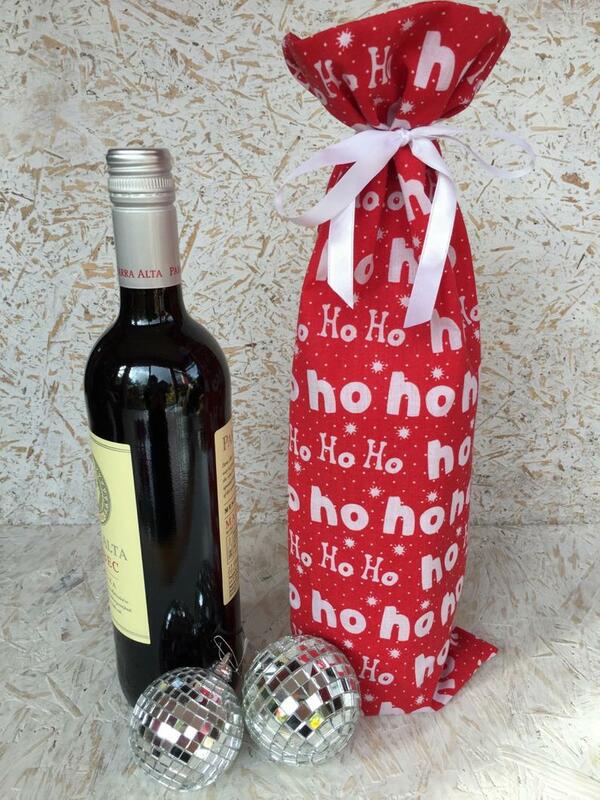 These gift bags are ready to carry your wine gift inside of Santa’s belt, which is where all the wine ends up anyway. 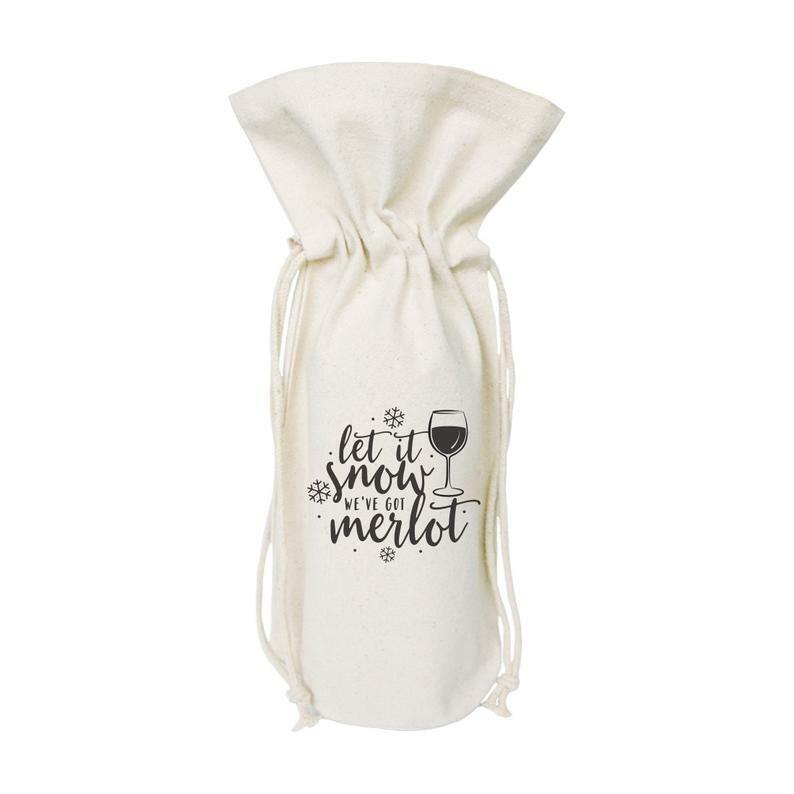 If it starts snowing, at least they will have merlot to drink! 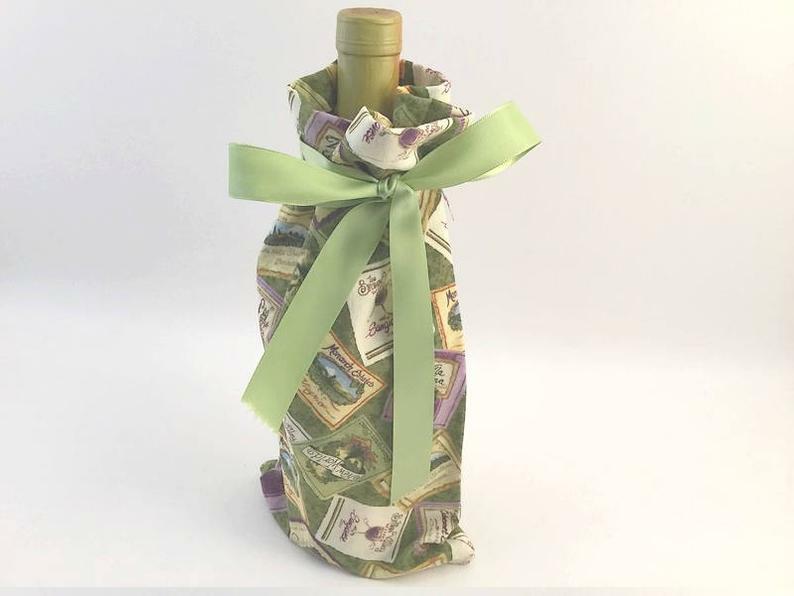 The person you give the wine to in this mermaid sequin wine bottle bag will have hours of entertainment playing with the sequins. It is more fun than you can imagine. 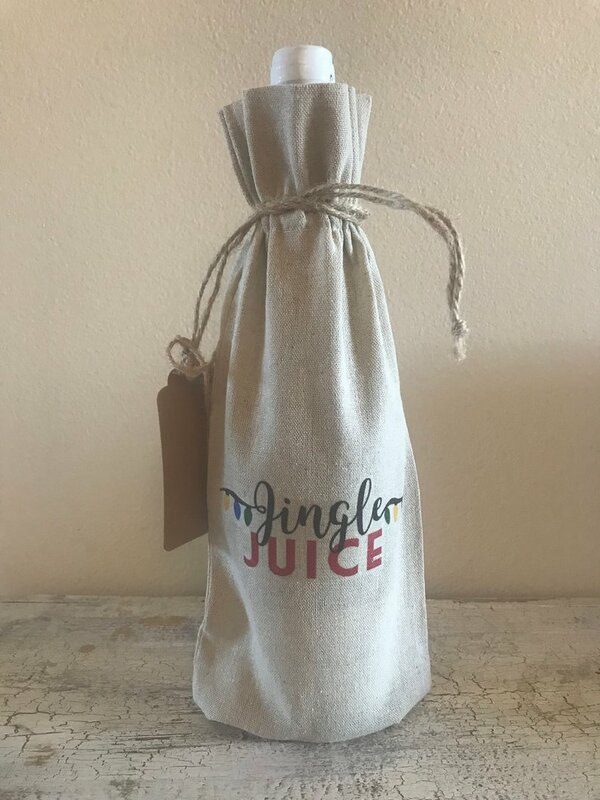 The wine really is the jingle juice! Everyone will be jingling away! 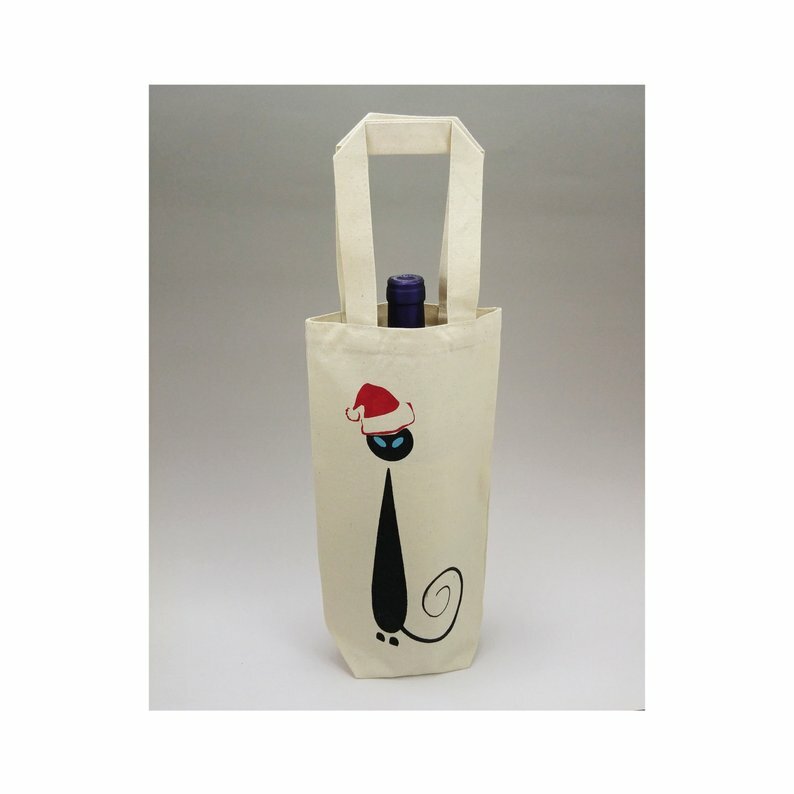 You can’t go wrong with this adorable little mid-century Siamese cat wearing a Santa hat on its head, especially if you’re giving the wine to someone who loves cats. The wine is ready to make everyone holly and jolly this Christmas! Not only can the wine make everyone holly and jolly, but it also makes spirits bright and ready to celebrate the holiday. 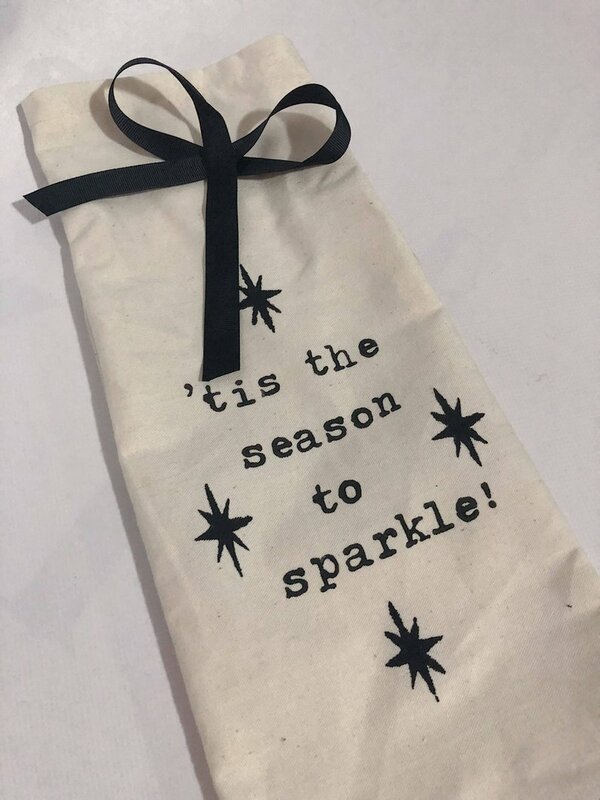 Christmas is the time to sparkle, especially with a glass of sparkling liquid to sip! 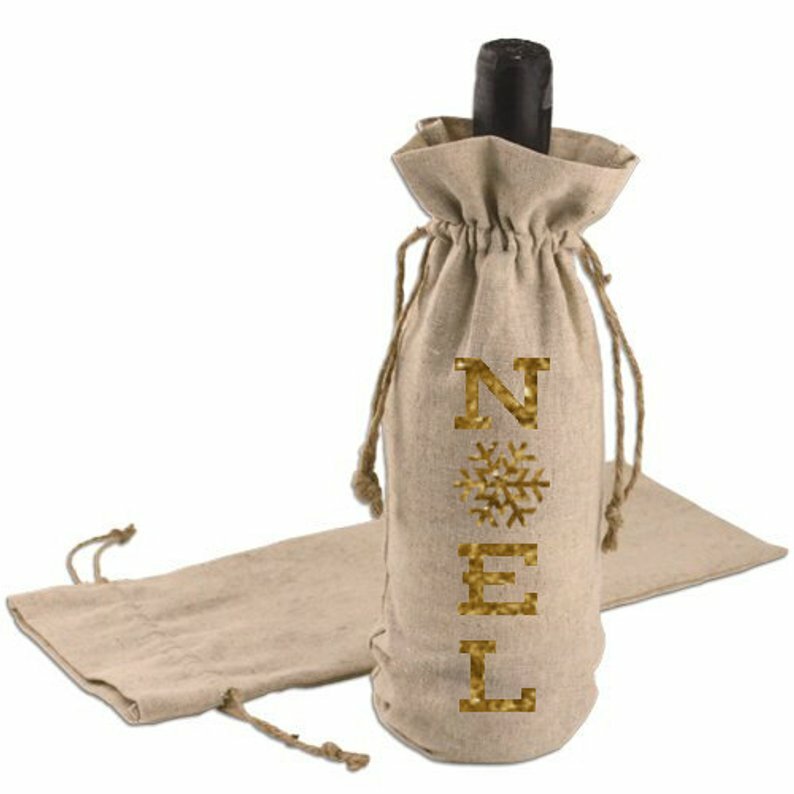 These wine bags will really add an extra special touch to the wine you are giving this year. Which one of them are your favorite? I can’t choose, I love them all! Bonnie McConaughy writes articles for businesses that tailor to their clients' needs. Her articles have appeared on Quill, Unique Gifter, and Beyond Your Blog, among others. She has a strong passion for blogging, entrepreneur, health and wellness, and personal development topics. You can find her at bmcconaughy.weebly.com.